When it comes to music streaming apps, there is hardly a dearth of them. There are apps such as Spotify and Dhingana and even Google has the Google Music service. 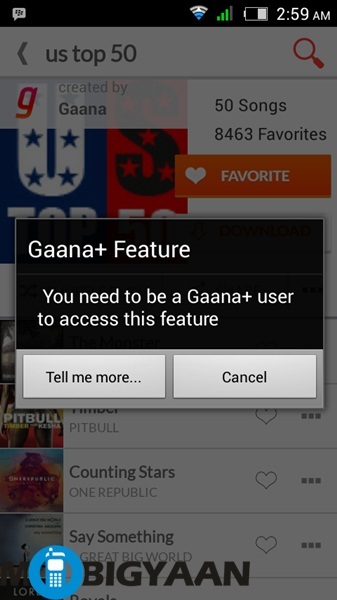 Well, Gaana.com is also one such app. 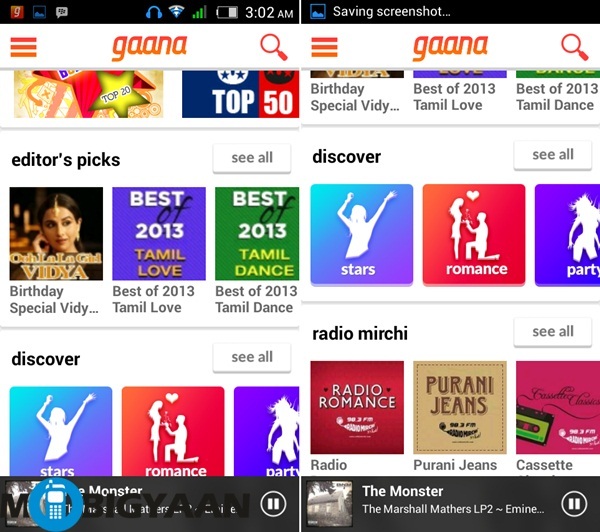 It is the mobile app for streaming from Gaana.com. 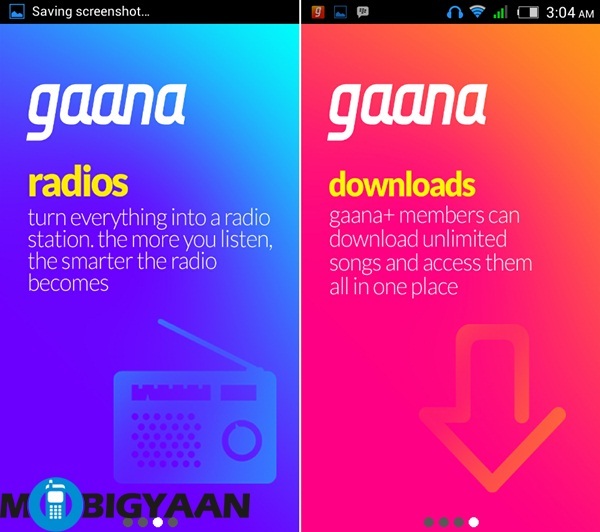 The app has done well for itself till now and with Gaana 3.0, it has been refreshed with a faster search engine, curated streams, social music discovery and personalization. A new ‘Discover’ section has been added to the app which lets you select songs according to mood, whether it be romance or party. Lets dig in to find out what the app has on offer. The app can be downloaded from both iOS store and the Google Play store and takes up little space on your phone. 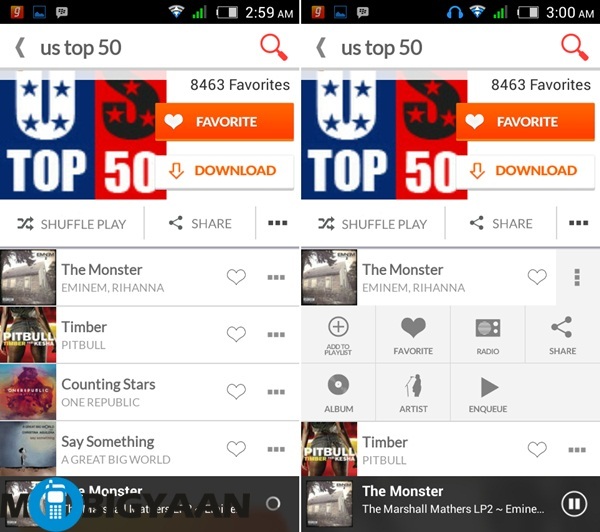 The app’s interface is easy to navigate and offers you many different controls although for more features, one would need to upgrade to the Gaana+ paid app. 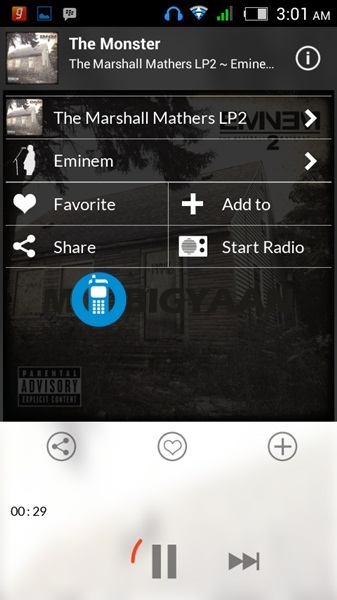 The app’s interface is designed in a simple manner and makes it super easy to stream music. Just like many other apps of kind, it asks you to download the paid app if you want to actually download these songs. 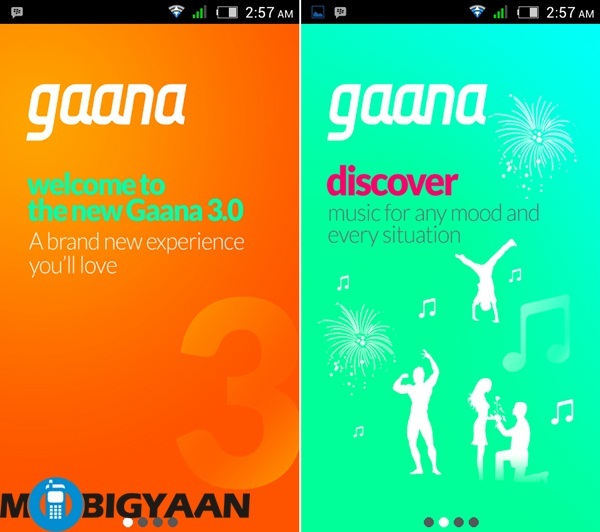 Gaana 3.0 provides you a lot of choice amongst songs. It also displays them in form of playlists which you can choose from, such as editor’s picks, new releases and top charts. 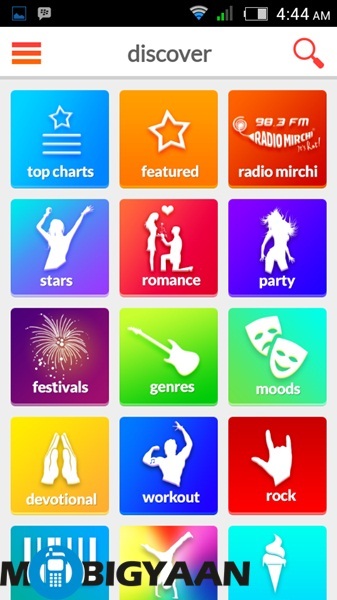 It also plays fresh episodes of Radio Mirchi programs such as Puraani Jeans and Radio Romance. 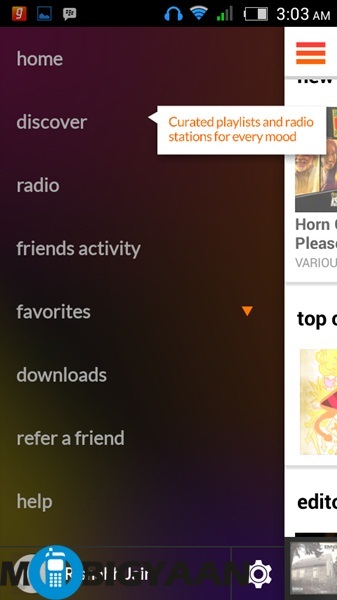 While there is no dearth of playlists, you can also manually search for any song you need. The app lists songs for everyone, whether it be regional, classical, international, or songs from different genres. The music quality is quite good generally. The buffering is pretty awesome – the app can actually load stuff in less than a second, which is great. The app still needs to be bug free though since, it did crash a bit during our usage, so that is something that needs to worked on a bit. 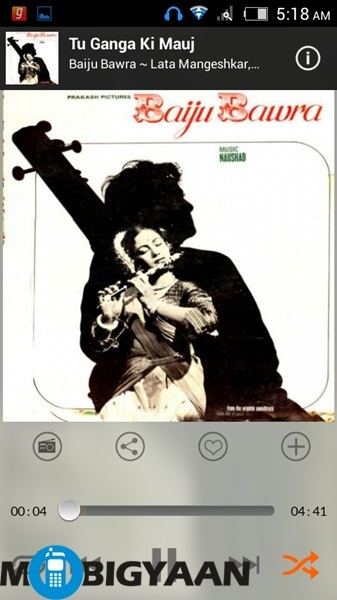 Overall, it is a pretty awesome music streaming app.